A few of the participants from the Experience Works program which I attended in early 2018 got together for lunch. 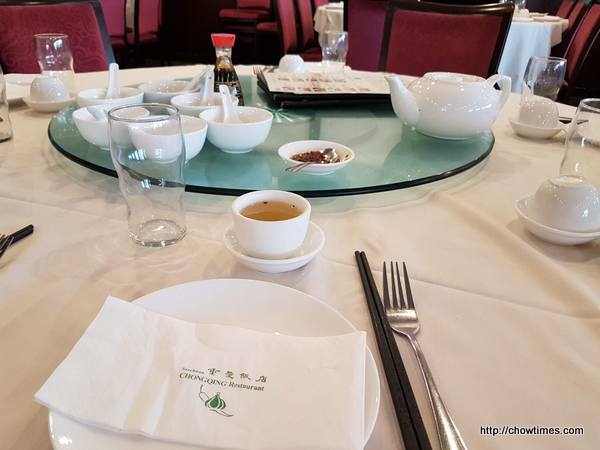 Eva suggested Chongqing Restaurant as she and her gardening group used to dine here. The restaurant was not very busy on the Saturday that we met here. Elena and I arrived first. She ordered a pork dumpling from the dim sum section to start off as she was hungry. When the rest of the group arrived, she took charge of the rest of the ordering. 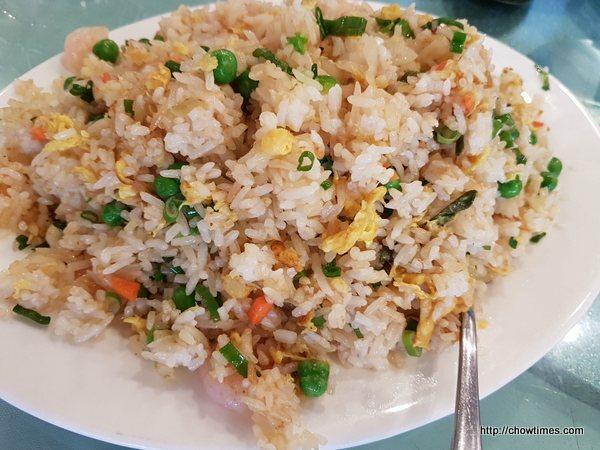 We had fried rice with shrimp to go with other dishes. 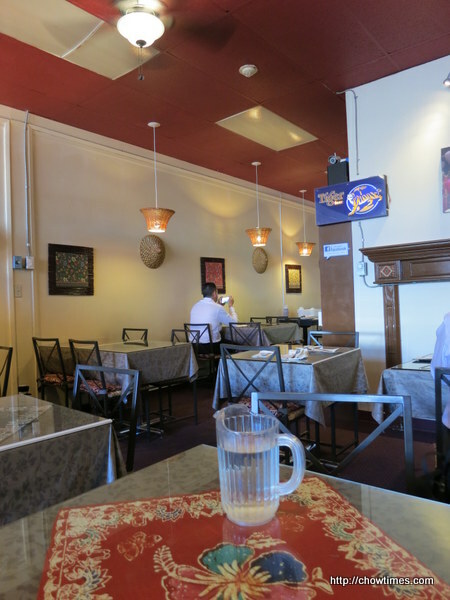 Since Ben and I attend church near Burnaby, we often take the opportunity to have lunch in Burnaby. One of our favourite place is the Crystal Mall. 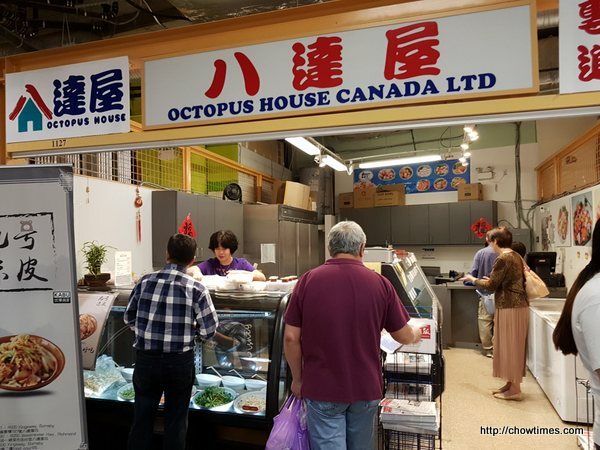 For this occasion, Ben decided to try the “Cold Noodle” from Octopus House in the market area. It looks healthy with a lot of vegetables, :-). Our family had been trying to come to this restaurant more often once we learned that the current location will be closed in July due to redevelopment. We really hope they will find a new home. When we come as a family of four, we always get the combo for 4 for CAD52. 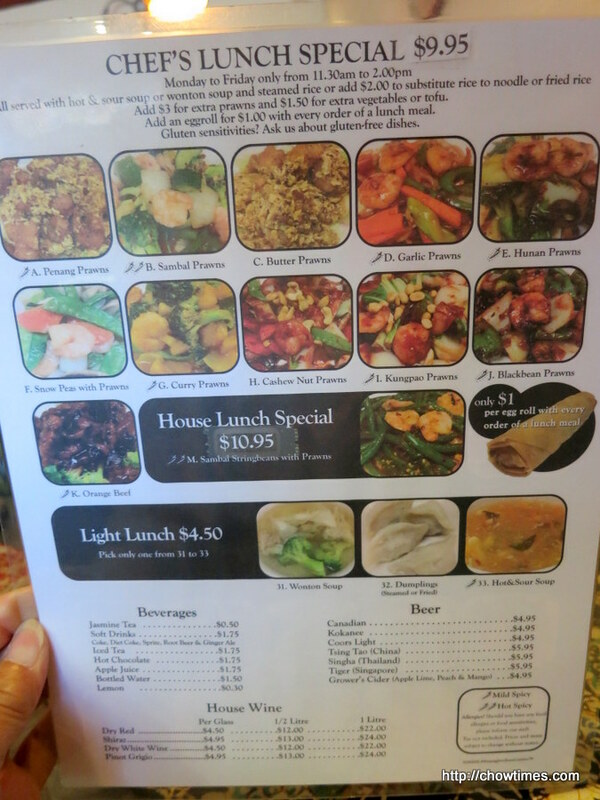 We like it because for that we get two appetizers and choose four main dishes. 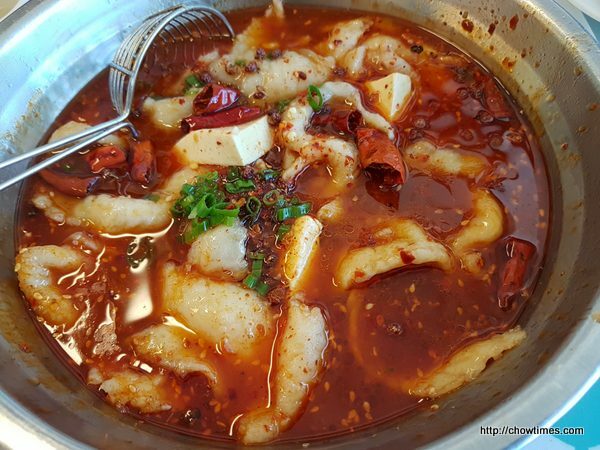 You cant beat that for value because Szechuan cuisine is generally more expensive than other Chinese cuisine. We sure are going to miss this place when it closes soon. 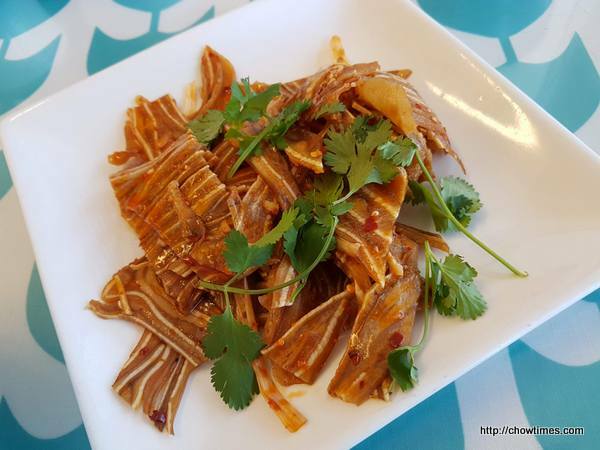 The free appetizers are Spicy Pig Ears and Mung Bean Noodle in a tangy and spicy sauce. Ben likes the sauce so much that sometime we bring our own container to take the leftover sauce home as we dare not ask the server to pack the sauce to go. Ben and I went to do groceries shopping at Yaohan. We stopped by the food court to grab a light dinner. 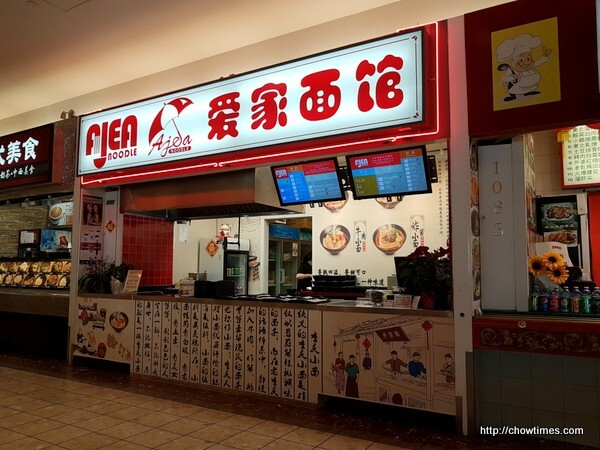 We decided to try the new noodle shop, Ajea Noodle. This is how it works. 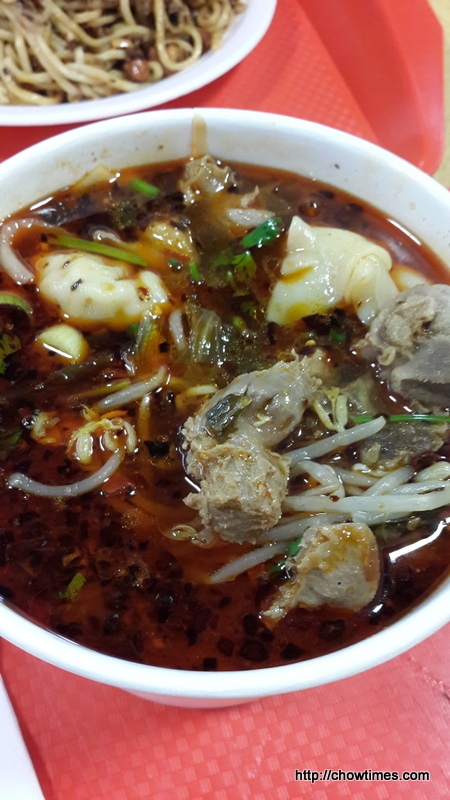 You get to choose your broth base; we went with the spicy broth at medium spiciness. Then you pick the ingredient and we opted for braised beef. The small cube beef was tender. You then pick the noodles. We opted for the traditional thin noodles. 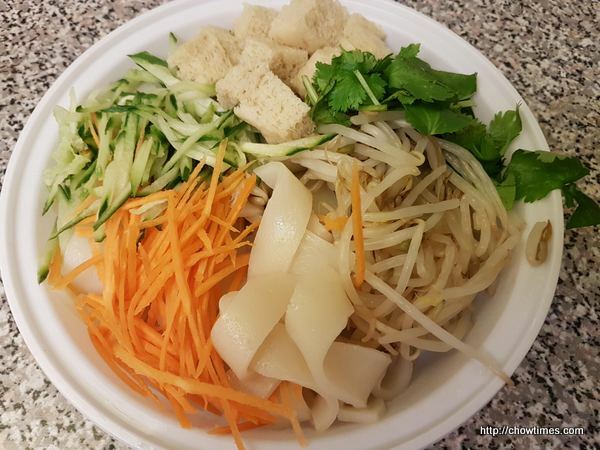 Our bowl of noodle came to CAD10. You can be lavish by adding more other ingredients. We enjoyed the noodles. 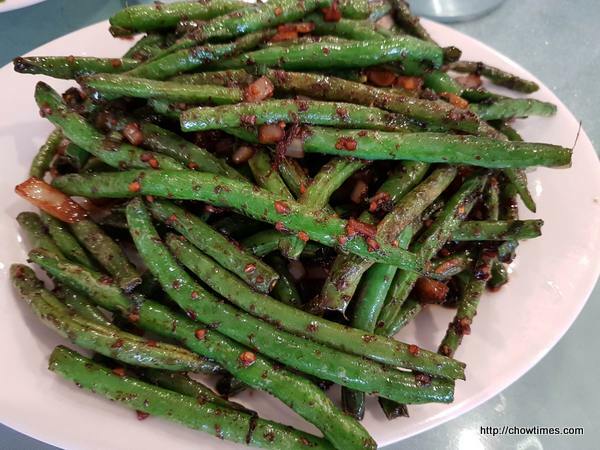 When we go out as a family of four to Szechuan Delicous, we usually order the Combo for four. However, this time, there were only three of us, so we went for the a la carte. 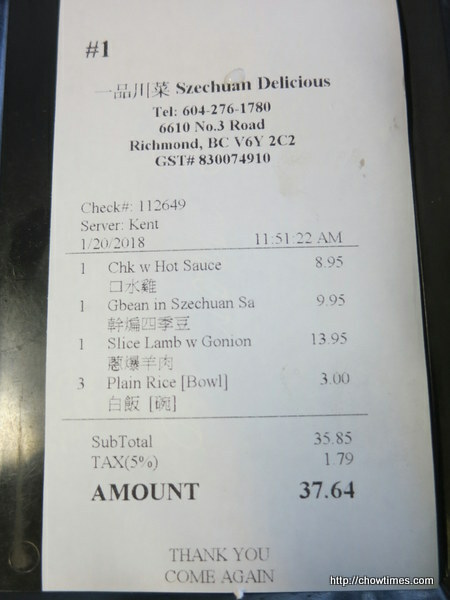 We had the Slice Lamb with Green Onion for $13.95. I prefer this over the Cumin Lamb which has green sweet peppers. 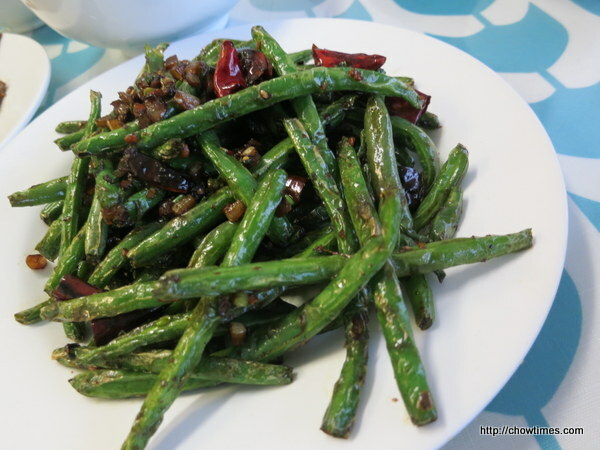 We ordered the favorite vegetable of Arkensen which is Green Bean in Szechuan Sauce. Ben ordered the Chicken with Hot Sauce (also known as Saliva Chicken). The serving looked big for an appetizer as it came in a big bowl. 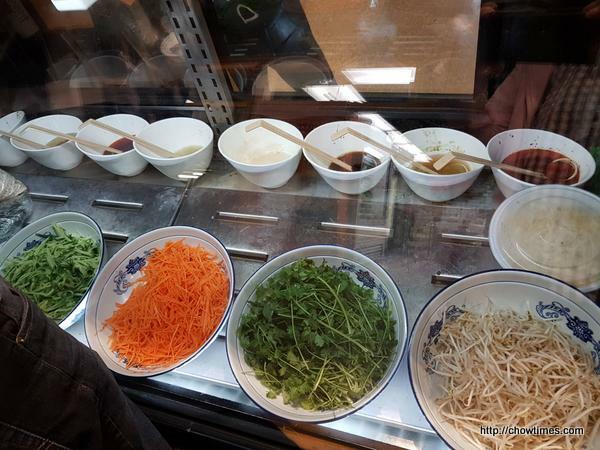 Well, as we got the the bottom layer, it was lined with bean sprout. 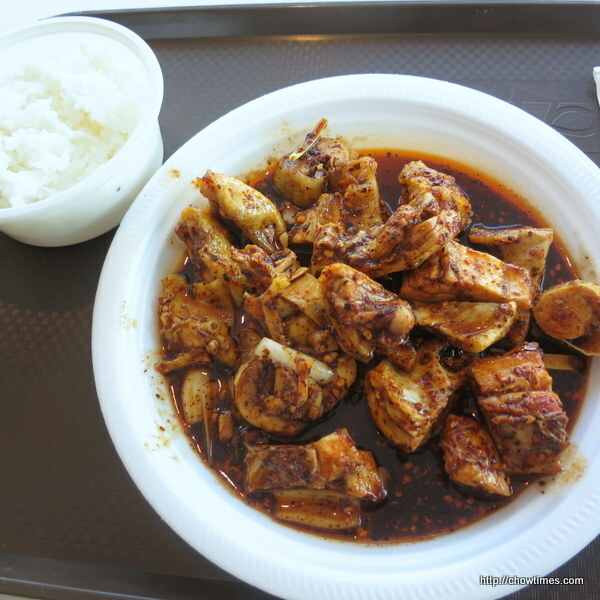 Nevertheless, the sauce was great with steamed rice. Szechuan Delicious accepts cash only. We had some leftover to bring home. We just cant eat that much anymore. Ben had to send the car for service at the BCAA Service Center in Surrey. We were there earlier than expected and decided to have lunch first in White Rock. 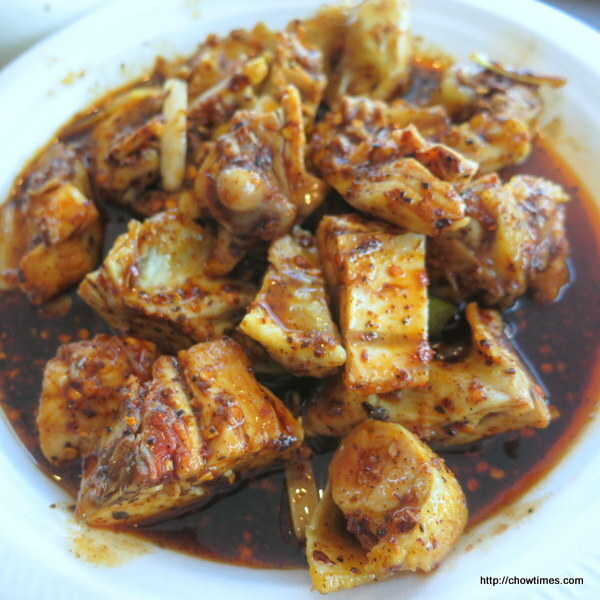 After looking for a while, we found this Penang Szechuan Cuisine as the name interests us. The decorations is very Malaysian with “batik” cloth lining the tables. 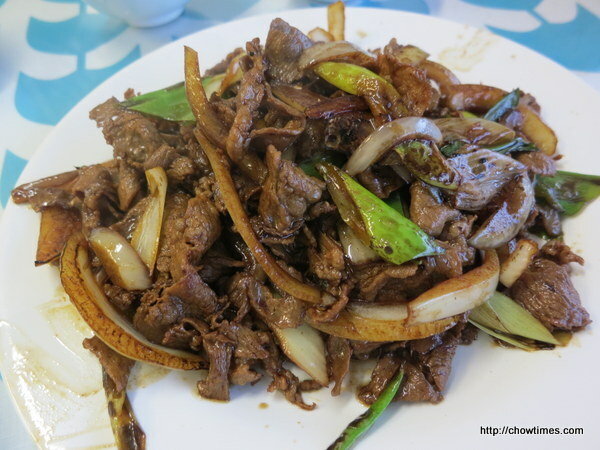 It was a Thursday afternoon that Ben brought me to Szechuan Delicous Restaurant for lunch. He had taken the Friday off and he felt like having his favourite cuisine to celebrate the start of his long weekend. 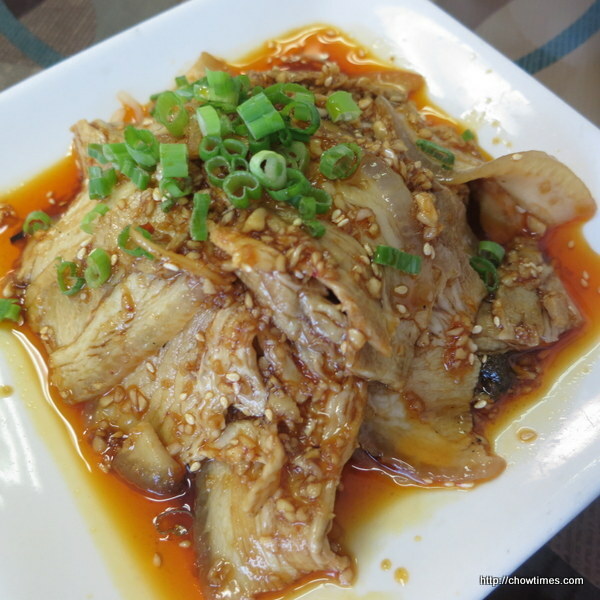 He ordered his favourite appetizer, pork belly with garlic sauce. Underneath the pork belly is a pile of bean sprout. 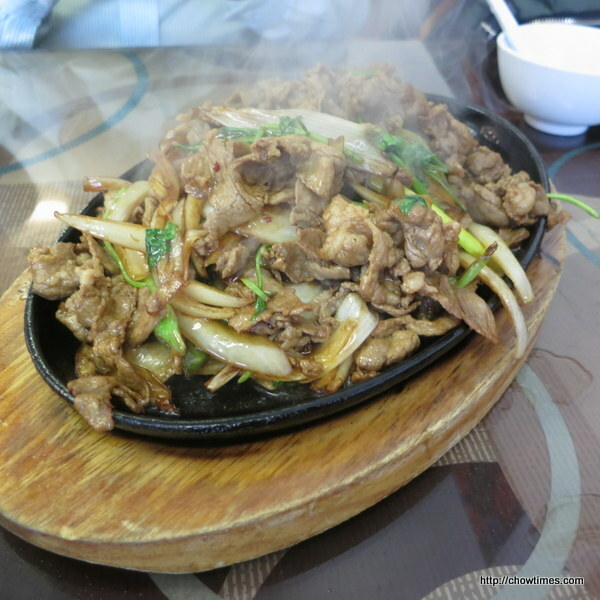 I picked the second dish which was lamb with green onion served in a hot plate. It came sizzling hot. I like the caramelized onions and the lightly charred lamb at the bottom. We enjoyed the dishes with steam rice. It was a good meal. Szechuan Delicious accepts cash only. Ben wanted something light for dinner. So, we went to the Aberdeen foodcourt on a Tuesday evening. Apparently, Aberdeen closes early on Sunday (5:00pm), Monday to Wednesday (6:00pm). 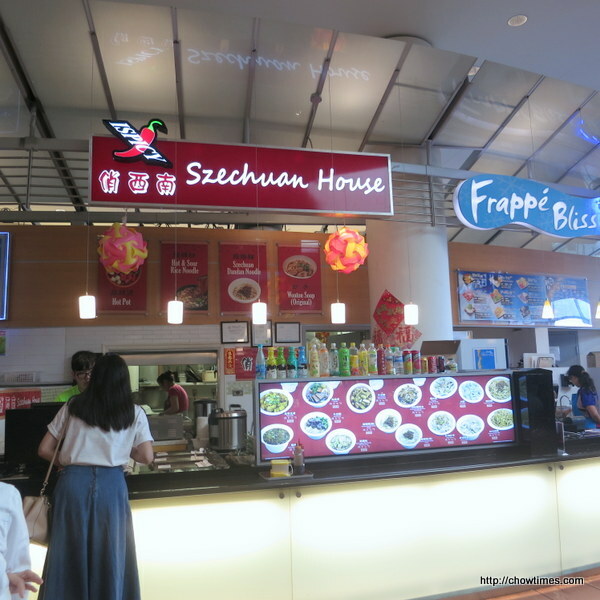 But according to the Zomato site, Szechuan House opens till 7pm from Sunday to Wednesday). We were there half an hour before the closing time. 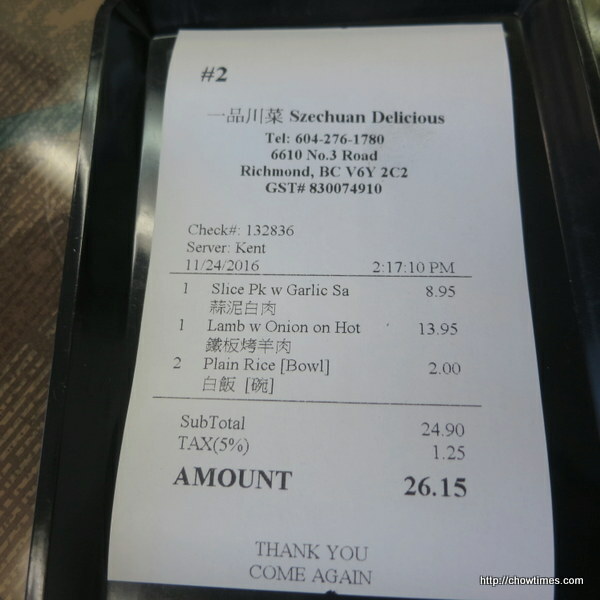 Ben ordered the Saliva Chicken from Szechuan House. It took a while for the food to be ready even though this is a cold dish. Rice is optional, only if you want it. Of course, Ben must have rice to enjoy with the delicious spicy sauce. 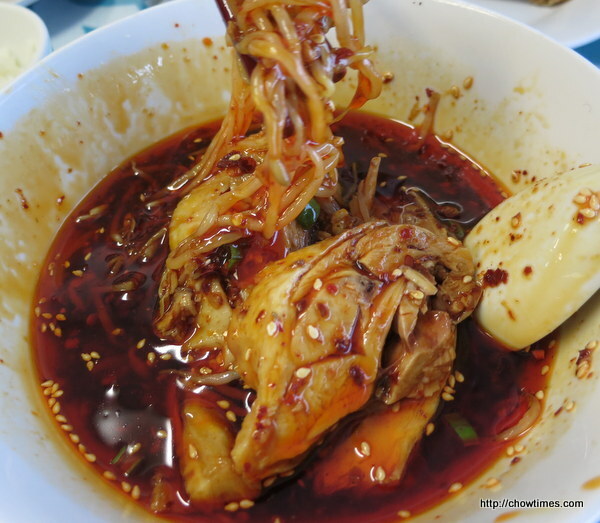 The sauce here has a light sweetness in it which makes it tastes really good. As for the chicken, they were quite bony. This dish is $10. Ben and I went to Crystal Mall for an early lunch after a long walk in Central Park. The Crystal Mall Foodcourt is a really busy place at lunch time. It’s a good thing that we were there early. 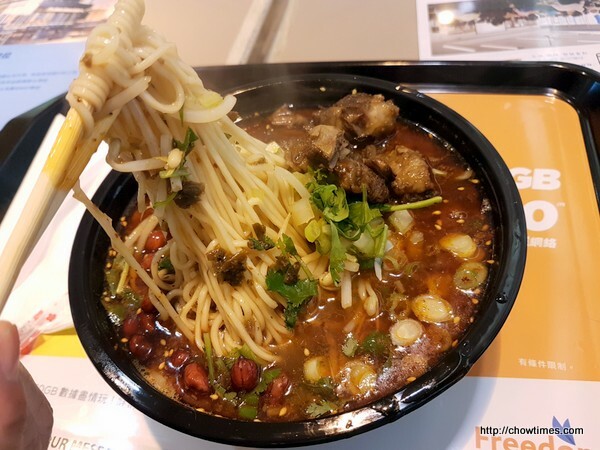 Ben recommended me to try food from Chao Shou Wang because he found a noodle that resembles something he really enjoy during his stay in Beijing. 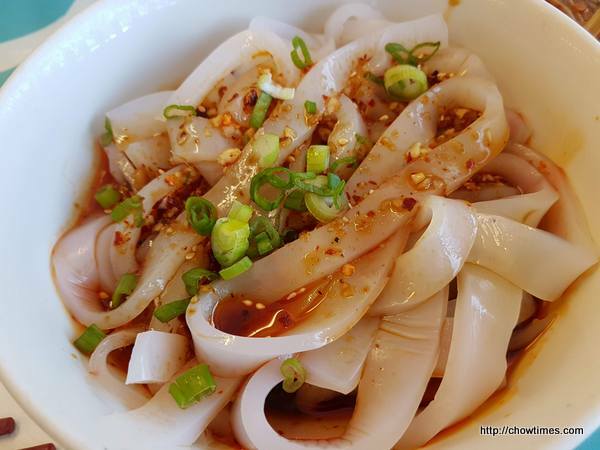 The House Hot Noodle is a dry mix noodle with Sichuan seasoning. 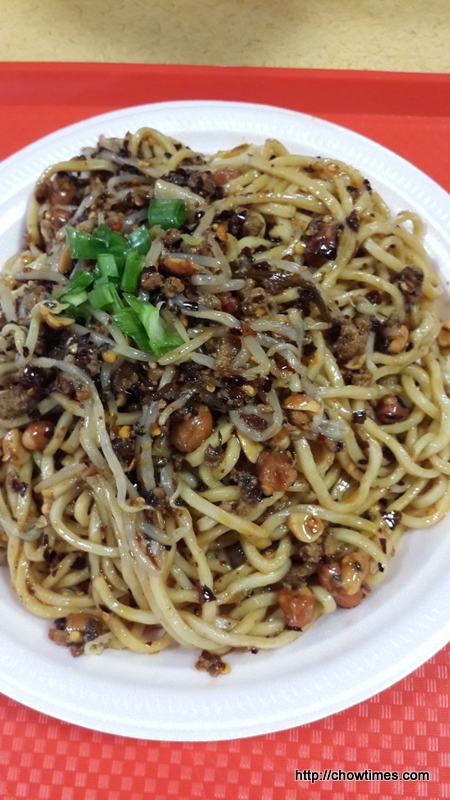 We like the peanuts which add a crunchy texture to the noodle. It was quite spicy even though we just ask for medium spicy. 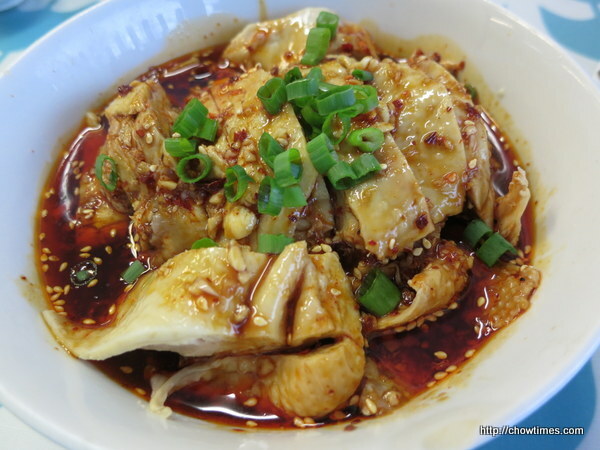 Ben wanted the Wonton with Chicken Giblets as he thought it is the Wonton in Spicy Sauce (Chao Shou wonton). He was also enticed by the chicken giblets in it. Apparently, this came in a broth. It came with a generous amount of wonton in it. Like the above, medium spicy was quite spicy. This is $8.75. 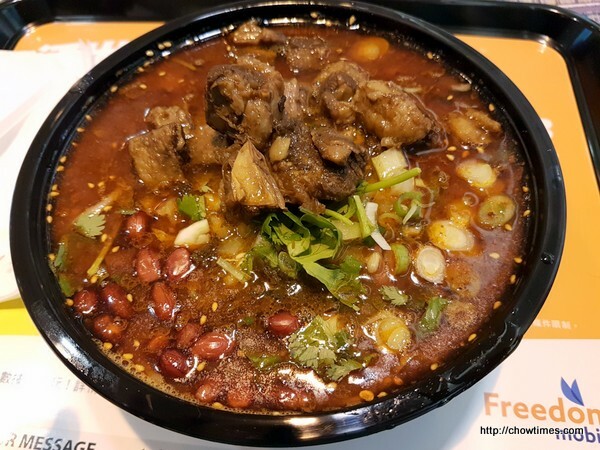 With all the above spicy food, just beware that there will be some pain with plumbing issue the next day. To cool down the heat, we shared a Durian Tapioca Icy from Cherry Tea Icy Bar. It is $6.00. 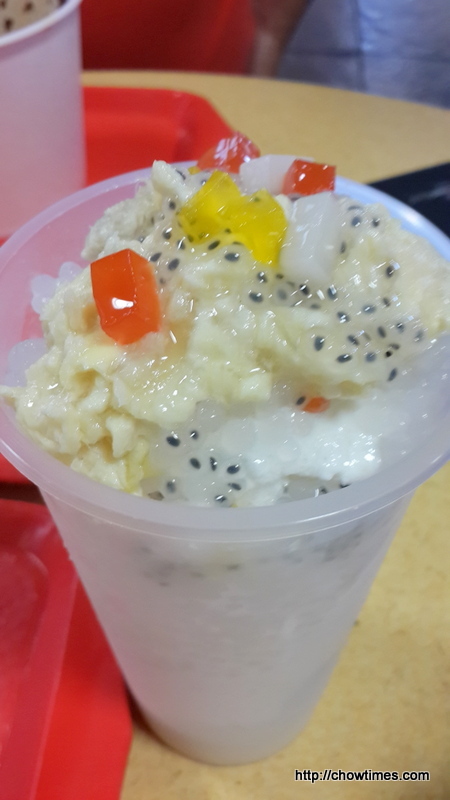 There were some durian flesh topping the icy. Emily, Lorna, Marian and I met up for lunch on a Tuesday afternoon. It was quite difficult to organize a meet up even with just 4 people as Marian is working and busy in the evening for her girl’s Wushu practice. This meet up is a spontaneous one as Marian had to take the day off the resolve her kitchen plumbing problem. Lorna suggested to have lunch at 0755 Restaurant and Lounge at Continental Plaza. We had walked pass this restaurant many times but never check it out because it was all dark and there is no menu display outside. We have no idea what kind of restaurant is this. Finally, I have a chance to try it. Only some part of the restaurant is opened up for lunch as it was not busy at all. We were told by the server that on weekend night, there is a live band performing in the restaurant. 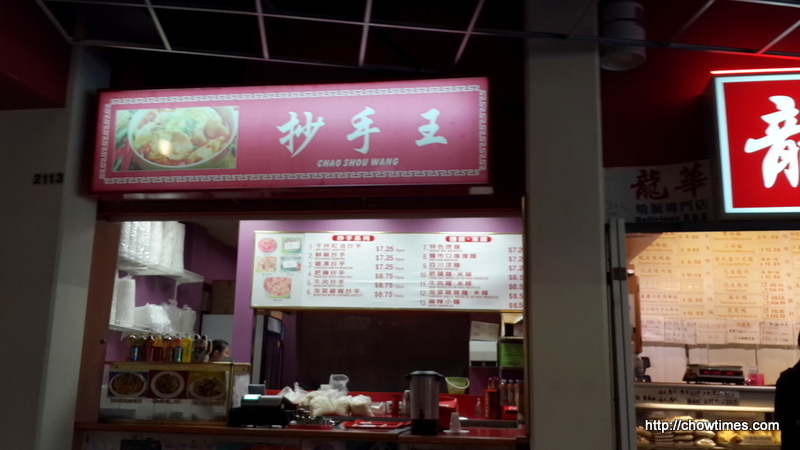 I was equally surprised that this place serves Sichuan cuisine. 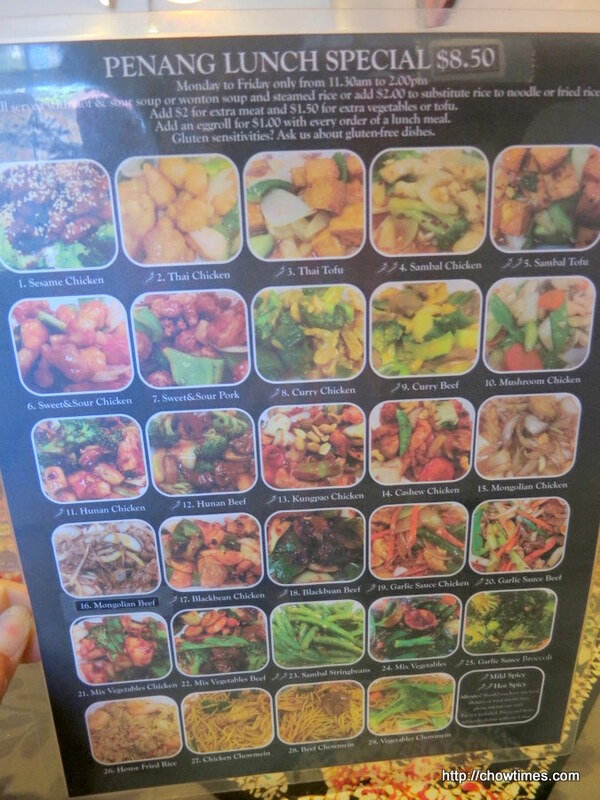 The menu is in the format of an album and there are lots of photos in it. I love this kind of menu. Sun flower seeds for munching while waiting for our food. This is very common in Beijing.